Off to the Tate Modern? See our insider advice for a queue-free visit as well as opening times and phone numbers! Entrance to the Tate Modern is free, except for special exhibitions. Last entry is at 17.15 from Sunday to Thursday and at 21.15 on Friday & Saturday. The Galleries are quietest at the opening time, try to plan your visit for the morning. Tate Modern then starts to be crowded at lunch time. Friday, Saturday & Sunday are the busiest days. Many tourists and families visit over half-terms and holidays. During these periods you may want to go on Friday or Saturday evenings after 18.00 to avoid family groups (extended closing time till 22.00). Weekends are busier than weekdays. Wednesday is the quietest day while Saturday is the busiest. Some exhibitions may attract lots of visitors, don’t plan your visit for the opening and closing two weeks of an exhibition in order to avoid crowds. Prefer to visit it mid-exhibit or at least on a weekday. There’s an espresso bar on level 3 with two riverside balconies, the view is amazing! Photo credits to S Pakhrin via Flickr. 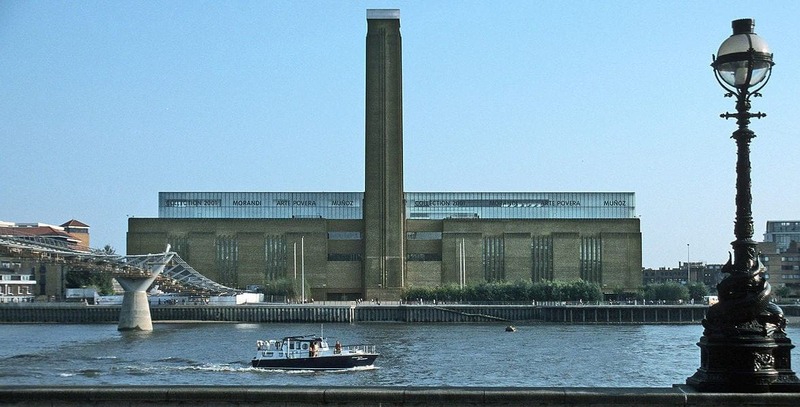 If you plan to visit both London Tate galleries, the Tate Boat runs every forty minutes along the Thames between Tate Britain and Tate Modern. Other river services run between Millbank and Bankside piers. Feel free to comment or give your opinion on The Tate Modern (London, England). However, please agree to respect our terms. Please don’t post defamatory, insulting or disparaging comments- as we will have to moderate them. Instead, explain what happened in a factual way.